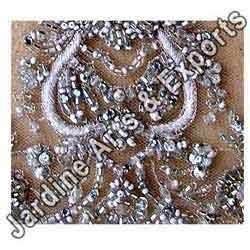 Superior quality tulle is used as the base fabric to create glass sequin embroidery with beads and sequins on the salwar kameez. The sequins are shiny and beads are such that equally match the shine and they together are able to create a sparkling effect on the entire design thus making it desirable. Beautiful and sparkling beads have been used to give life to this beautiful metal thread embroidery that adds to the grace of the salwar kameez. The design is a combination of geometrical and floral patterns that are unique. 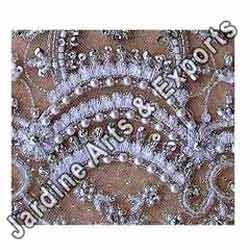 Silk thread of premium quality has been used to make the design look graceful. Looking for Salwar Kameez Embroidery ?